I became a mother on January 23, 2018. Being a mother was always what I wanted to be. I had an idea of what I thought it would all be like: pregnancy was what I expected, labor was everything I’d heard it would be, and after all that, I got to bring home the most perfect little B boy . The first month was normal; I was exhausted and overwhelmed, excited and in love. This was just what I expected from motherhood. The first two weeks were a blur; my only memories come from a zillion pictures taken of a perfectly sleeping baby. Then my little one awoke from his newborn slumber and made his presence known with a tremendous amount of crying. From morning, through the afternoon, and well into the evening, B boy was either eating or crying. Very little sleep, very little quiet. Not exactly what I expected, but figured this is what the first month is like…. Then B boy hit the four week mark. 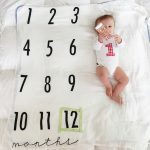 I got the milestone “one month” card ready, the chalkboard all written out with his favorites and firsts, and charged up the camera for our first amateur photo shoot. We did the pictures first thing in the morning, because that was the only time of day I could rely on him to be somewhat smiley. I barely got the photos done before the floodgates opened. It suddenly became very apparent to me that we were at two full weeks of this behavior. There must be something wrong, right? I decided to call the pediatrician, giving all his symptoms over the phone to the nurse, and she used the word “colic” to describe what she was hearing. I had heard of colic throughout my life, basically in the context of, “Oh, that poor mother. The baby is colic.” Was I now one of those mothers others were feeling for? All I really knew about colic related to a period of misery, so I decided to do my research via Google (never the best idea). It was incredible to read through the searches online and come to find that they were describing my B boy to a T. I read and read, but never throughout my literature did I come across any answers. How do I fix this? What is the reason for it? When does it end? I’m the kind of person who believes there is a reason behind every issue or behavior and it’s my job to discover set reason, but now when my son is crying uncontrollably, most of the day, like he’s in pain or sad, you’re all telling me there’s no reason? This wasn’t part of my “expected” first trial in motherhood. As I began my journey down the tunnel of having a colicky child, I had feelings and anxieties that I never experienced before. I was feeling very alone and vulnerable, but I felt best when talking with other mothers who experienced similar situations with their babies. I gained instant relief knowing I wasn’t the only one, and the advice offered was always appreciated and accepted graciously. If you find yourself at the height of dealing with a colicky baby, I can offer some advice; a collection of what I was told by others and what I learned myself during my experience. Like I mentioned earlier, I am determined to figure out the reason behind every occurence in life [to a fault]. 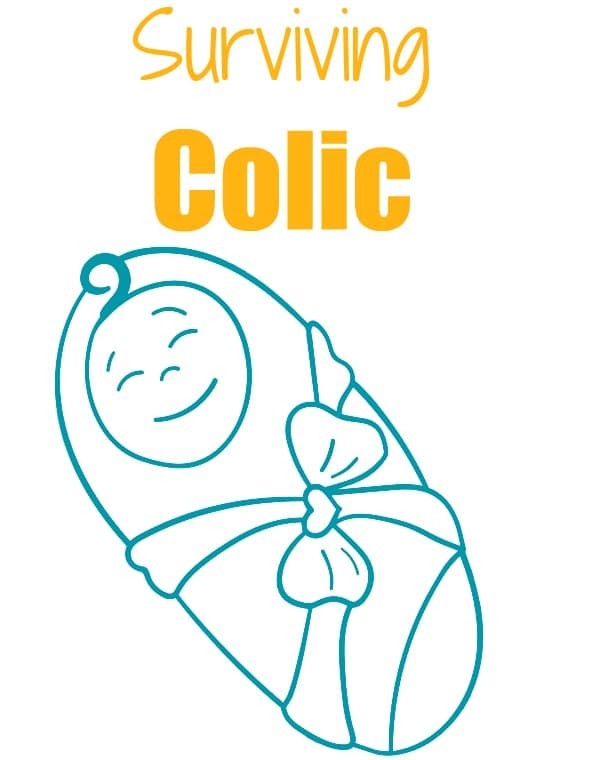 I quickly learned that colic is basically a fancy word for fussy. My pediatrician told me every baby has a certain degree of colic on the large spectrum of fussiness. That information was not good enough for my stubborn self. I tried everything to make it better; changing my diet, eliminating foods, changing bottles, using homeopathic remedies, trying different sleep, burp, and play routines, etc. etc! Nothing seemed to make any difference in his gas, crying, or overall behavior. I finally got to the point where I stopped trying to figure it out, because I realized agonizing over why he was crying was making me more insane than the crying itself. I did my best to comfort his gas and stomach issues, but beyond that, I just let him cry and told myself the reason was beyond my knowledge. Period. This was my mantra for over two months. With every mother I spoke to that dealt with a colicky child, she would always end our conversations with, “But no matter what, don’t think this has anything to do with you as a mother because IT DOESN’T!” I would smile at the sentiment, and then a moment later find that I would be asking myself, “What could I be doing differently that would make my child happier?” As a mother, our instincts are to do whatever it takes to keep our children happy and healthy. I was assured that B boy was 100% healthy, so why couldn’t I rest with that information? 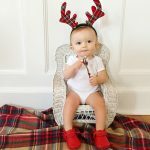 Am I failing my baby in the “happy” department? So I needed those moms to remind me that it was not my fault. It was nothing I did during my pregnancy, or during delivery, or within the first few weeks that brought on this colic. Their support was necessary to keep my head held high throughout those darker days. Being in a home all day with a screaming baby could be considered by some to be full blown torture; I was the victim and my torturer was a two month old baby boy. Everyone told me to take a break from the crying by leaving the scene altogether. My house is small, so it wasn’t easy to escape the screams even if I could. Luckily, I have an amazing family of support that came in from day one to help out. Every family member that came to my house could see how difficult he was and offered assistance in any way I needed. My saving grace was to do mundane tasks like grocery shopping or going to the post office alone. Just getting out of the house for 30 minutes or so allowed me to recharge and come back to face the tears, stronger and more patient. My son happened to be born within six weeks of my sister in laws, cousins, and best friends babies. I couldn’t of planned this better if I tried! I was so excited to experience motherhood with the support of these amazing new and not-so-new mommies. But once B boy started to show his not-so-pleasant demeanor, I found myself not wanting to be around these other babies. They were all so perfect; quietly cooing and crying, but mostly hanging out quietly, looking like perfect little dolls. First, I felt like my baby was standing out as the “bad seed” of the bunch, which left me feeling anxious and apologetic for his behavior. Second, I found myself comparing him to the others. Before I was a mother, I always told myself I would never compare my kid to another kid. Each and every child is completely different and I will love and embrace their special qualities. It only took 2 months for me to completely lose sight of my beliefs! Why did I care if he cried? He’s a baby! Why did I fret over why he won’t nap and the others are up to two hour long snoozes during the day? In the end, does any of it really matter? These other mothers were wonderful in that they too reminded me how different our babies are, mostly because of their ages (new mom here learned that 4 weeks is drastically different than 10 weeks!) and that I shouldn’t stress over the milestones (or lack there of) that my boy reached. Also, the biggest thing I did that stopped me from comparing my little one was to stop reading baby books! In the beginning I was all about reading up on every little thing so that I knew “everything.” But quickly, knowing “everything” was a reminder of everything my little one wasn’t yet accomplishing and just made me feel bad about myself. I still have the books and use them occasionally, but I take the information with a grain of salt. From what most people who experienced colic told me, along with what I read, I could gather that aside from the constant crying, there is absolutely nothing unhealthy about my child. Using all the positive mentality I could muster, I decided to praise and acknowledge that blessing. All you have to do is sign onto Facebook or turn on the tv to be reminded that many mothers are not so lucky. 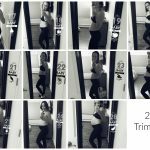 The fact that I had a healthy pregnancy from day one, perfectly safe delivery via cesarean, plus a pain-free recovery, is something to celebrate! The fact that my little one came out two weeks early, a little tiny, but still healthy as can be, was something I lost sight of somewhere along the line. If colic is the worst it gets, then I’ll take it! I have years and years ahead of me, filled with worry and fear as I bring him up in this world. Why get a head start in the worrying unnecessarily? 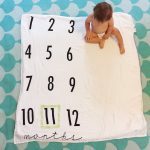 My pediatrician told me, “The colic will end just as quickly as it began.” It was really hard to imagine light at the end of the colic tunnel, especially on our worst days. However, as I write this blog post, I can honestly say we are over the hump of B boy’s colicky days. It was a beautiful sunny Saturday. My husband and I took him for a walk, we played with toys and our cousins next door, and we even took him out to a restaurant for the first time! After we put him to bed and enjoyed a glass of wine on the couch, my husband said to me, “Today was sooo good! Do you think it’s over?” I was hesitant to say yes, fearful that this was a fluke and I would jinx it by saying it outloud, so I instead said “Maybe” and we would see where the rest of the week took us. Well, my husband was right! No longer were there days filled with tears (from both mommy and baby); no longer were mommy’s anxieties high and excitement about the day low; no longer was mommy questioning every move baby made, over-analyzing his rollercoaster behaviors. Now, he was just happy. Not all day, every day (we still have our fussy periods) but for the most part, a happy baby. If you happen to be dealing with a baby who you think may or may not be colic, don’t put yourself through what I did. Use the energy I wasted trying to figure it out to just get through it. Getting through it is the only thing you can do. Like I said, it does end, and I’m told by other mothers this whole stage (which seemed like an eternity) will be a mere blip on the screen of my baby’s life. As a newly awarded survivor myself, all I can tell you is instead of focusing on those bad moments, find that one second of the day where you know he’s learning or experiencing life around him, and soak yourself in the amazingness of it. Pin this baby post for later!